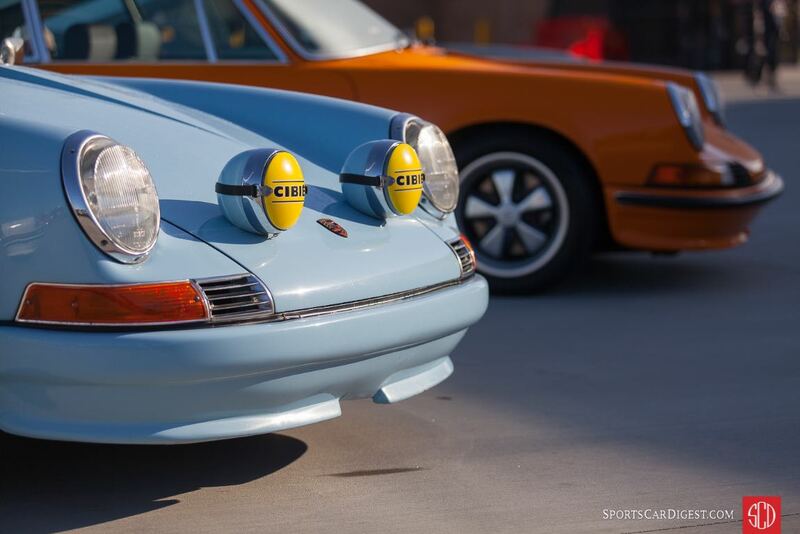 This year marked the 5th edition of the air-cooled Porsche-fest known as the Luftgekühlt, which was staged April 22, 2018 at the Ganahl Lumber yard facility in Torrance, California. 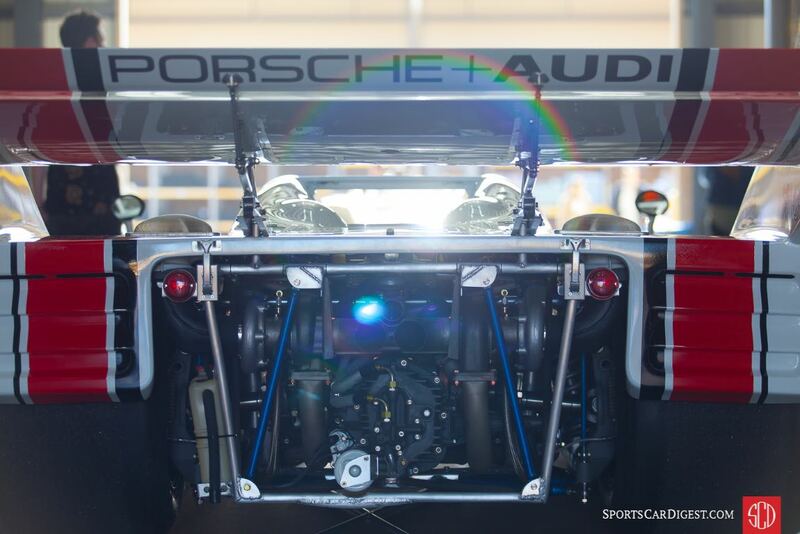 The gathering is the brainchild of Porsche factory racer Patrick Long and noted Southern California creative director Howie Idelson. Luftgekühlt was conceived as a realistic car culture event which is centered on a closely curated list of historically significant and interesting street and race cars. They keep the event elements simple — find cool venues, involve fun people, and keep the creative process open. This allows them to come up with unique ideas that celebrate the passion they have for all things air-cooled and cater to the Porsche community that isn’t necessarily interested in the cocktail world of concours and country clubs. “Luftgekühlt”, a German word which translates to the term “air cooled”, was an unfamiliar nomenclature just a few years ago. Now, it has become a phenomenon in the Southern California outlaw and custom car culture and represents all the air-cooled cars in Porsche’s history — from the Pre-A 356 through the 993 model line, which ended in 1998. Luftgekühlt places a special focus on custom, hot-rod Porsches, ‘Outlaws’ and generally modified cars, with some exceptions made for factory-built homologates and genuine race cars. The Ganahl lumber yard and warehouse building provided ample display and parking areas. It was the perfect backdrop for the Porsches that attended. Most of the cars were exhibited in and around the lumber yard and the industrial racks of saw-milled wood, with a few select examples displayed in specially designated areas throughout lumber yard to represent the diverse eras and genres of these sports cars. Why a lumber yard for this year’s Luftgekühlt? The connection for Porsche enthusiasts goes back to 1944, when construction was moved from Stuttgart, Germany to the wooden sheds of a former saw mill in Gmünd, Austria, considered as the birthplace of the 1947 Type 360, the 1948 356/1 and 356/2. 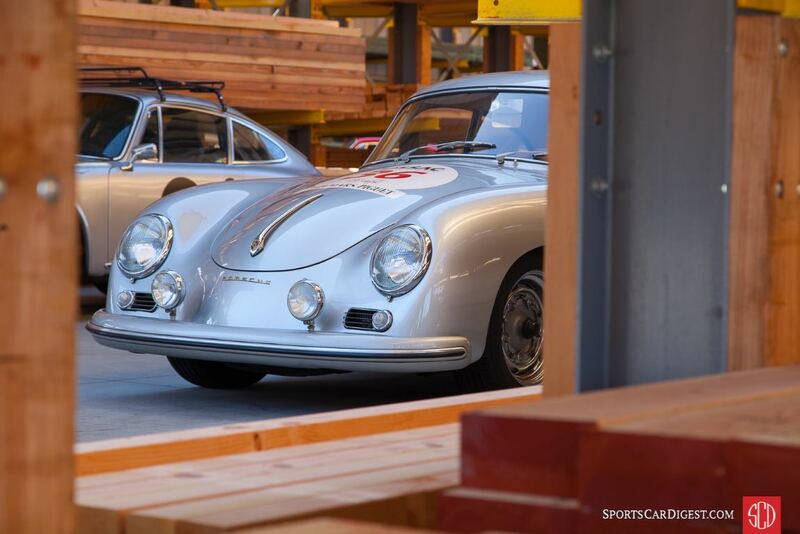 With the historic connection of wood and air-cooled Porsches, the selection of the Ganahl Lumber Company worked well for Luft 5. Patrick Long and Jeff Zwart greeted owners as they drove into the yard and directed them to their designated area. With over 400 Porsches in attendance, the event was considerably larger than in previous years. In addition to Patrick and Jeff, other notable attendees also included actor Patrick Dempsey, Bruce Meyer, Alois Ruf, Vic Elford, Chad McQueen, Hurley Haywood and Rod Emory. Over the last five events, the Luftgekühlt has given those who have attended, a fantastic opportunity to see and sometimes hear some unique, historic and significant air-cooled Porsches. 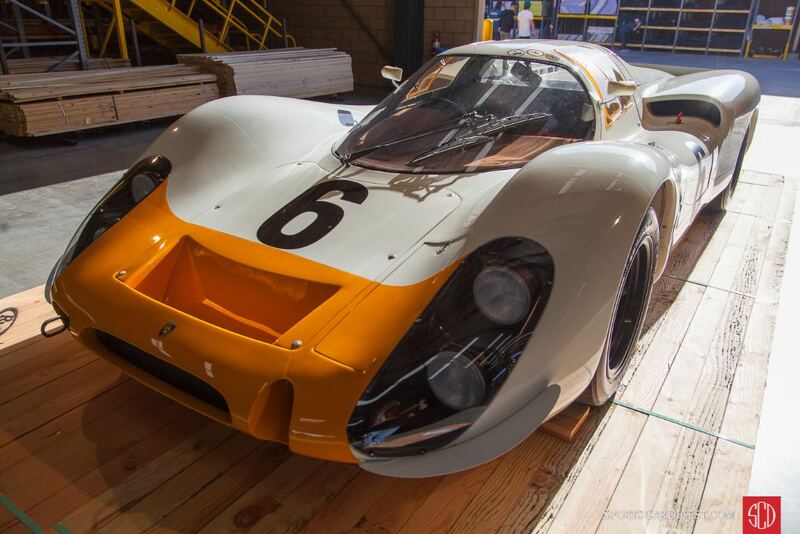 Some of the more notable cars that attended the Luft 5 were Jerry Seinfeld’s 1949 Porsche 356/2 Gmünd; the 1972 Can-Am Championship winning Porsche L&M 917-10 Spyder; Porsche 908K Works ‘Short-Tail’; Porsche 904 Carrera GTS; the ultra-rare 1967 Porsche 911R — R4 Prototype; Le Mans-winning Porsche 356 Gmünd SL Coupé; 1980 Porsche 930 Special Edition Turbo with 60 pre-delivery test miles; and the unicorn of the show, the zero-mile Schuppan Porsche 962CR. A large contingent of air-cooled 911s, 930s, 914s, and 356s, rounded out the cars that lined the wood stacked aisle, making for and interesting and unique event. 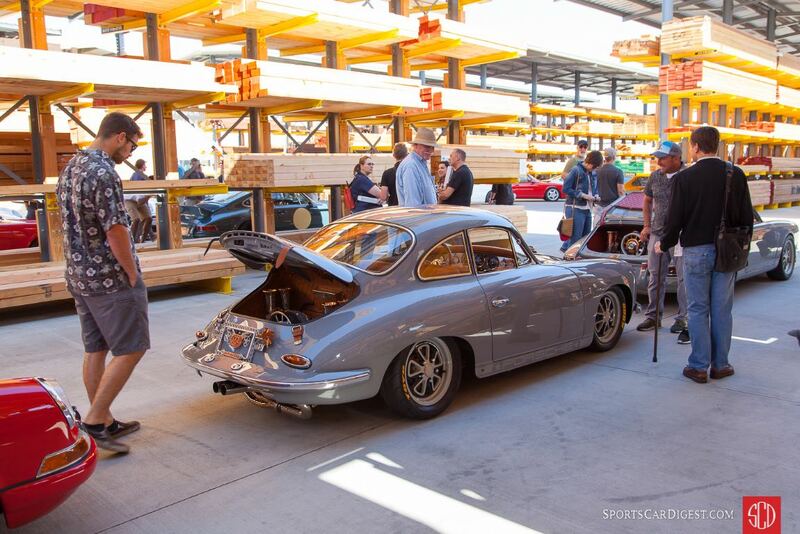 Similar to 2016, Sports Car Digest also documented the Luftgekühlt 2018 with Victor Varela offering the following pictures from the Ganahl lumber yard in Torrance. I have seen every Porsche in the book and the only air cooled mystery was the 908K – with the right driver it was diabolically fast yet strangely Porsche only raced him once. (I simply cannot recall his name – I believe an English or Dutchman). It should have been an even bigger and better success story but still my favourite air cooled Porsche simply never maximised . Fabulous photographs and one of your best issues. Well done Victor Varella. I remember seeing the Sunoco Porsche at the 1973 Daytona 24 hour race driven by Mark Donahue.The car was locked in a heated duel for much of the race with the Haywood- Gregg RSR. The Donahue car failed to finish leaving the remaining RSR uncontested for the remainder of the race.It’s amazing how a near stock car that could be driven on the street, can also be so potent a race car with such incredible durability. I believe the simplicity of design gave these cars great versatility as both race cars and road cars. Great images as always Victor ! Oh and by the way folks, these cars didn’t have signs or boards providing details like model names / numbers, and no program – thanks for providing the detailed captions Vic, I know that is a tedious job even when these resources are available. Providing car details without the placards or info cards at these events, does make it a time consuming task in captioning each image. But the time spent car-sleuthing is a bit fun and rewarding as you try to figure out from one’s own mental database and the resources available online, to try and correctly identify the car, year, driver and provenance. More often than not, you end up learning more from the experience. Vic, one of these years I’ll get to see the event. 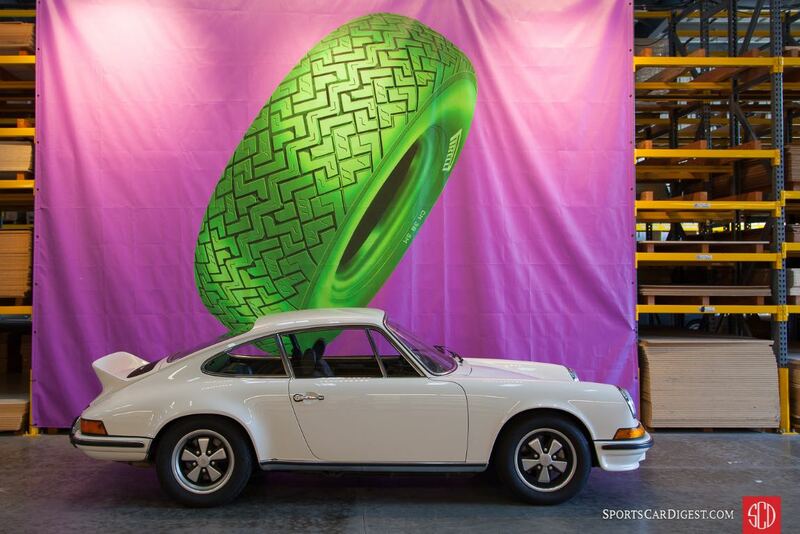 I’ve owned two 911SCs and wish I still had one of them. Finances prohibit me from indulging again, even though I work at the Petersen. We of course have the large Porsche exhibit right now. David, you should definitely make the effort to attend next year! This event gets bigger and better every year! Twist my arm, Vic. By the time I received email on our server, the event was sold out. Between the parking issue and number of cars and spectators, it might be time to super-size the venue. I shudder to think what renting the Pomona Fairplex, even partially, would cost. GREAT photos! The available light capture is a Master work! CORRECTION required on a few photos of the same subject however. NOT a 904 but a 1965 906 GTS. Much rarer car as only 12 were ever made, with factory installed 911-derived 6-cylinder engine, of which just ___ 6 ___ are still known to exist (!!!!!!) vs. over _100+_ 904 GTS’ built. Though you may want to know and correct the incorrect description. Thanks for the kind words on my images, Mr. Polak! I appreciate the heads up on the ID of this 906. I will forward the correct info to the editor and request the correct information be captioned for this beautiful 1965 906 GTS. Thank you for taking the time to provide the correct info! Hey Victor – always an honor when one of my cars gets in your lens. What an amazing show this year – you really captured the experience of the setting as well as the cars. I have an assist with your sleuthing on one car. The small sliver sports-racer with the blue stripe on page #2 is not an Elva, it is a one-off, mid-engined “Special” built in 1963 by racer Curtis Thewes of South Bend, Indiana. Designed for SCCA’s H-Modified class (850cc), it was powered – not kidding – by a genuine Porsche 4-cam engine modified to run on 2 cylinders (and therefore within the 850cc limit). The story goes that Curtis was tired of getting trounced in his front-engined Crosley. Needless to say, Curtis was a real character: you need more than a sense of competitiveness to build a car like this, you also need a lively sense of humor, for which Curtis was well-known. Another distinctive feature is that the chassis was not built from the typical triangulated tubing used by most formula cars and sports racers of the era, but utilized a production car chassis from, of all things, a front-wheel-drive DKW Junior (because of its unique perimeter frame). 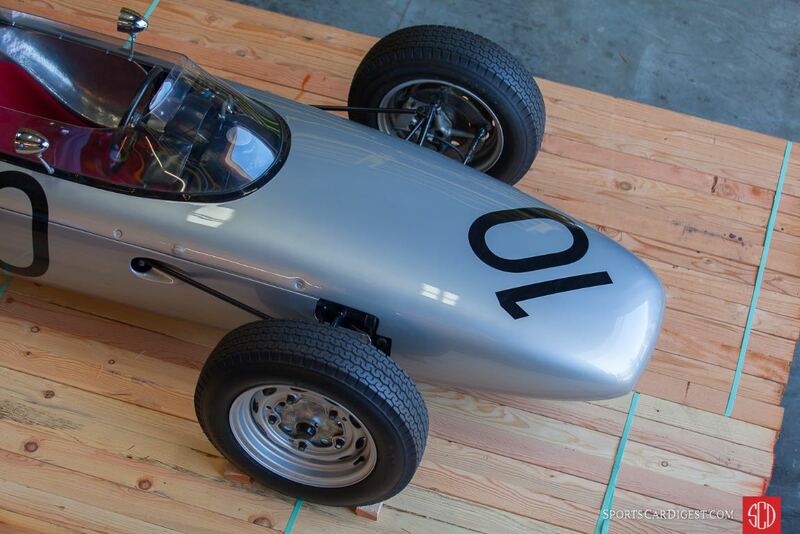 Auto Union and Porsche together! The car also ran with 356 power (with all four cylinders in operation…) and that’s its current configuration. Restored in 2007 by Emory Motorsports. Sold in 2015 and has competed in the last three Monterey Reunions. I buried the lede! The proper caption should be “Thewes Porsche Special”. Thanks for the kind words and for your assist with the car sleuthing! I will forward the correct info to the editor and request the correct information be captioned for this beautiful Thewes Porsche Special. Thanks for taking the time to provide post the correct info! Great Photos. A couple of questions, possible corrections (hard to tell with just a few photos). 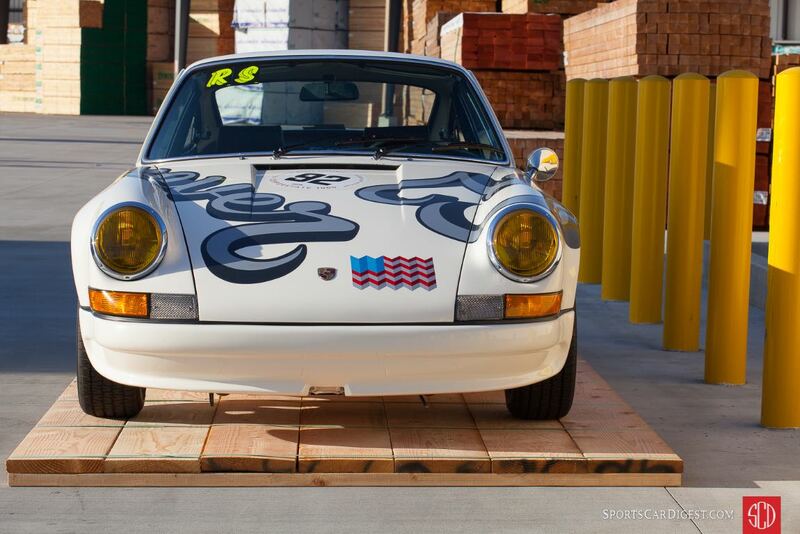 The Interscope car I believe is actually a 934, with IMSA legal 1977 934.5 bodywork. The Blue and white car with Swiss flag I think is Antoine Salamin’s 935, not a 934, Hard to tell just looking at the photos. The white car that says Heimrath on back is an actual 934.5, as I have seen that one before ! Thanks for the coverage, couldn’t make it this year, this article is a good substitute ! Thanks, Martin! Glad you like the coverage of this year’s Luftgekühlt 5. It is a bit tricky getting the exact info and details on the car descriptions, especially when their isn’t anything provided on the cars during the event. I’ll look into the cars you mentioned and see what else I can find and have them updated accordingly. I live in an area where any Porsche is a rarity…let alone a historic or classic air-cooled Porsche. Therefore, I can’t thank Martin enough for sharing this wonderful compilation and venue. Much appreciated by this lonely air-cooled Porsche owner! !